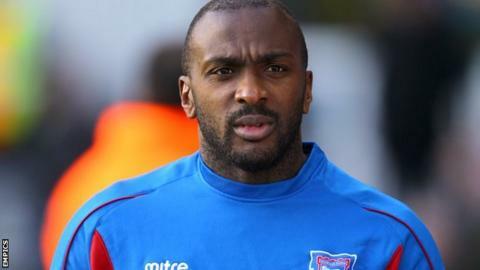 Barnsley have signed former Ipswich Town striker Jason Scotland on a deal until the end of the season. The 33-year-old was released by Town earlier this month having scored two goals in 14 games this campaign. The former Dundee United, St Johnstone, Swansea and Wigan man featured just once for the Portman Road side after Mick McCarthy took over in November. "Jason is the kind of player we have been looking for," Reds boss David Flitcroft told BBC Radio Sheffield. "He came to watch us at Hull on Saturday and he loved the resilience and the resolve. "This is a guy who isn't interested in money, he just feels he has something to offer to a Championship team." Meanwhile, Flitcroft said any move for midfielder Brian Howard is unlikely to be concluded this week because he is injured. The 30-year-old former Barnsley midfielder is a free agent after leaving Portsmouth, where he made 26 appearances this season.